Donations to the Freedom Trail Foundation and official Freedom Trail historic sites assist to preserve Boston's iconic Freedom Trail and specific sites as well as provide high-quality education programs and activities for people of all ages. To learn more about supporting official Freedom Trail historic sites for specific preservation and programming efforts, please visit Boston Common, Park Street Church, Granary Burying Ground, King's Chapel, King's Chapel Burying Ground, Boston Latin School site/Benjamin Franklin statue, Old Corner Bookstore, Old South Meeting House, Old State House, Boston Massacre site, Faneuil Hall, Paul Revere House, Old North Church, and Copp's Hill Burying Ground. Learn more about Freedom Trail Foundation's Preservation Fund and education programs. 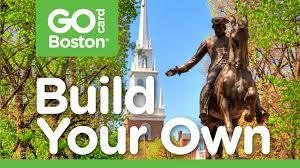 For more information regarding Freedom Trail Foundation donations, please call (617) 357-8300 extension 201.